It is a collection of metabolic disorders in a person, including high blood pressure, elevated cholesterol and triglycerides, abdominal obesity and elevated blood sugar. Metabolic syndrome is also known as insulin resistance, pre-diabetes and syndrome X. People with metabolic syndrome are at greatly increased risk of a heart attack and type 2 diabetes. Metabolic syndrome is also known as insulin resistance and syndrome X. It occurs when the body produces abnormally high levels of insulin. Due to modern diets and lifestyles, nearly everybody produces more insulin in their pancreas than they should. This is a problem because if blood insulin levels have been high for years, the cells of your body start to ignore it. The insulin becomes less and less effective at its important job in your body (getting glucose inside your cells so you can burn it for energy). 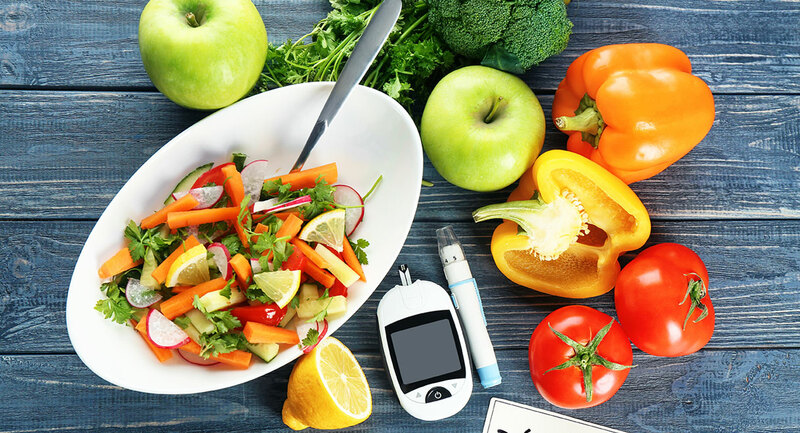 Knowing whether or not you have too high insulin is important because it can allow you to make some changes and avoid some serious health problems in the future. People with insulin resistance are at significantly increased risk of developing a fatty liver. The high insulin triggers the liver to manufacture more fat. A healthy liver helps to control your blood sugar level. If you have not eaten for several hours, your liver is supposed to release some stored glucose into your bloodstream to give you energy and keep hunger at bay. People with a sluggish liver struggle with this and they often feel excessively hungry, weak or irritable if they have gone several hours without food. It makes sticking to a diet extremely difficult! To help improve your liver health I recommend you follow the diet in my book Fatty Liver You Can Reverse It. It is not a difficult eating plan to stick to and you should not feel hungry. Taking a good quality liver tonic like Livatone Plus will provide the nutrients your liver requires in order to burn fat and detoxify your bloodstream more effectively. Being deficient in magnesium promotes high blood pressure, and this worsens metabolic syndrome and places a strain on the heart. People with metabolic syndrome are also known to have elevated levels of inflammation in their body. C-reactive protein is one marker of inflammation that is known to raise the risk of heart attacks and strokes. People who are magnesium deficient experience more inflammation, while supplementing with magnesium helps to bring down C-reactive protein. Lowered inflammation also means less aches and pains and less fatigue. That means magnesium not only helps to protect your heart; it can help you feel healthier and more energetic . Green leafy vegetables and nuts are a great source of magnesium. If you don’t consume enough of these foods, a magnesium supplement may help you. Reference: Song Y, Ridker PM, Manson JE, Cook NR, Buring JE, Liu S. Magnesium intake, C-reactive protein, and the prevalence of metabolic syndrome in middle-aged and older U.S. women. Diabetes Care. 2005;28(6):1438-1444.